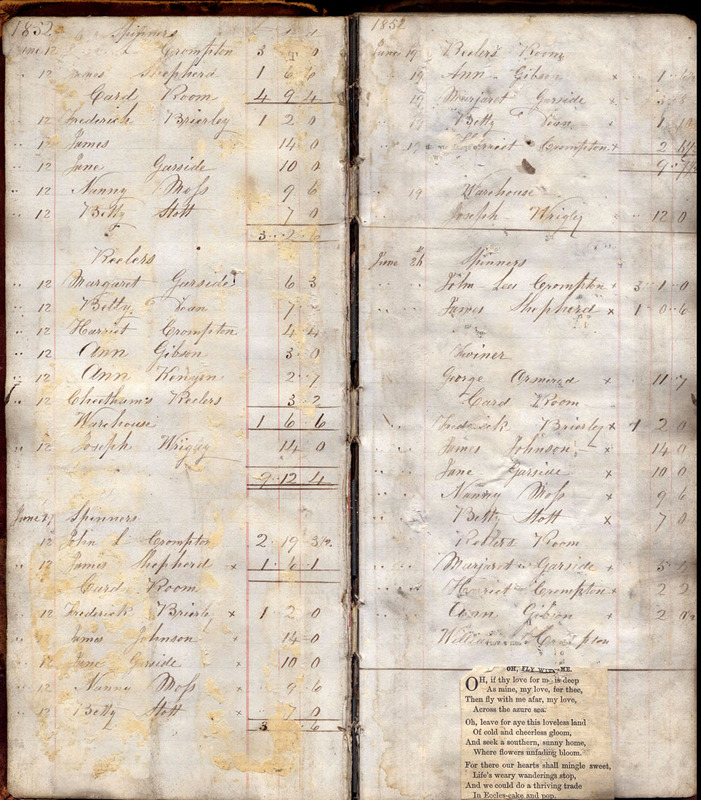 This web page contains information extracted from a wage book for a cotton spinning mill bought at an auction in Stalybridge round about 1990. 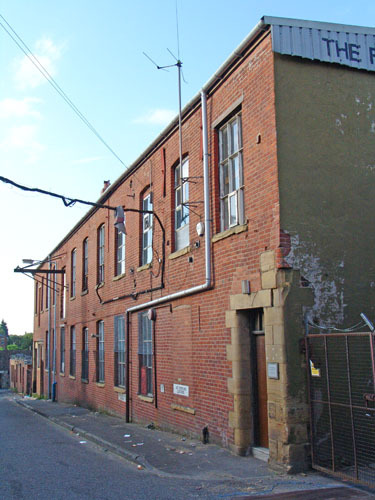 Built sometime earlier than 1848 as the Atlas Iron Works and used for cotton spinning by 1861, when it was occupied by Abraham Crompton, James Dunkerley and Eli Harrop. Much extended in the years up to the turn of the century and continuing in multiple occupation. Ceased production 1931. Part of the original structure still standing used for woodworking (packing cases). 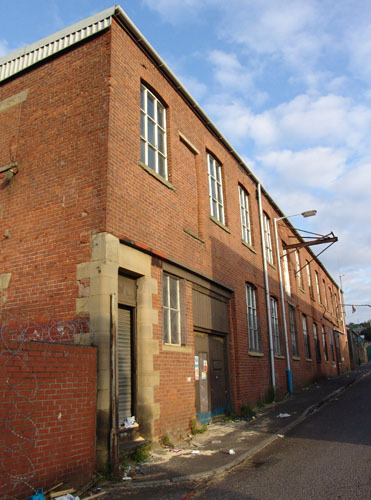 Remainder of premises are demolished. Site used as builder's yard. Given the current sad state of what remains of the building, it requires a stretch of imagination to see the inspiration for the name Paradise Mill. The mill appears on the 1919 Ordnance Survey map as Paradise Mills, showing as a line of mill buildings running along the south west side of Bell Street as far as Lemnos Street. Only the one building now remains, minus its top floor/s. So this remaining building is perhaps only one third of the row. 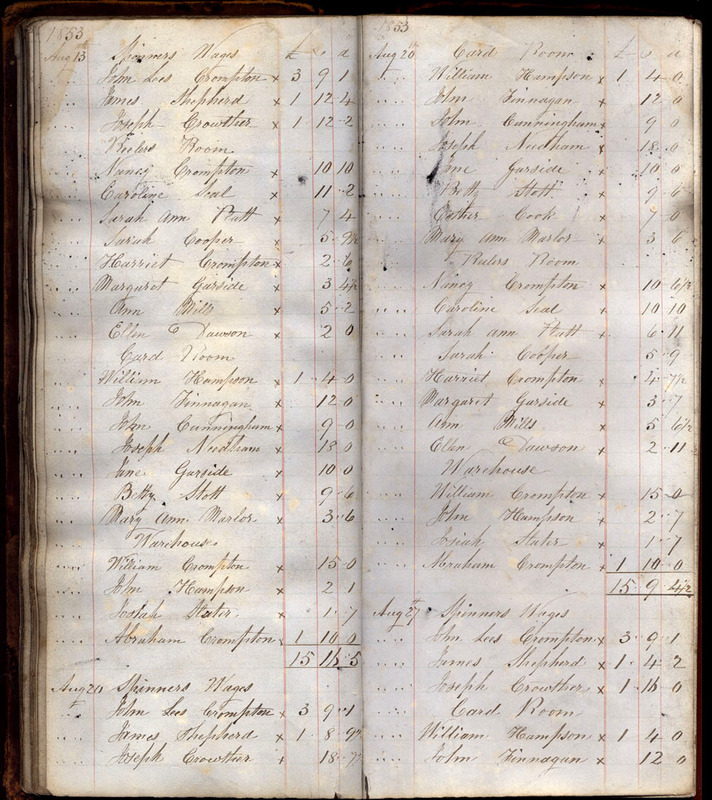 The wage book runs from 12th June 1852 through to 9th July 1858. The entries are incomplete. Some pages are missing altogether. The book has been used as a scrap book and some of the earlier pages are still covered in scraps. There are nearly 200 names in the wage book, while the average weekly headcount is about 30. This represents an extremely high attrition rate by present day standards and is probably a reflection of the casual labour system. 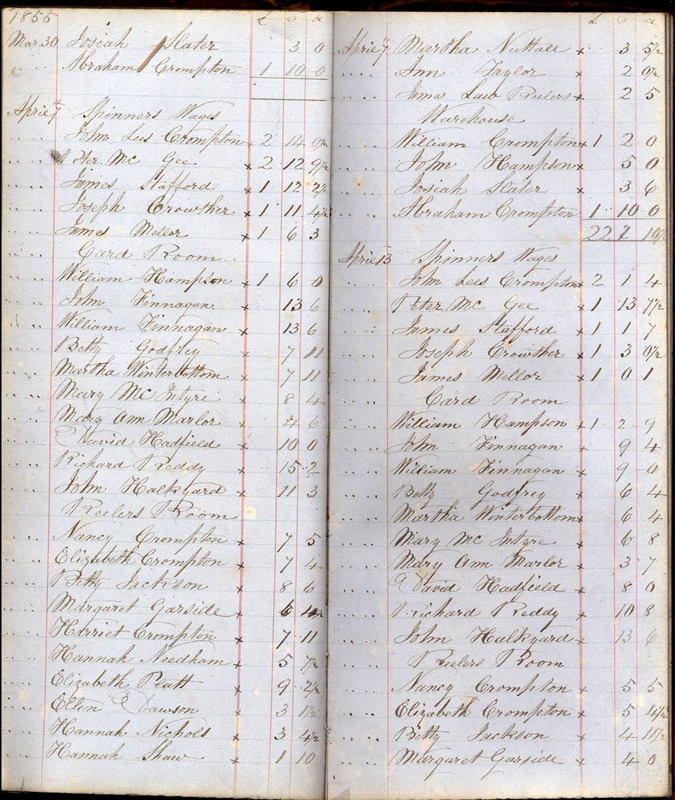 Spellings frequently change and a number of names are incomplete or unknown, suggesting that whoever completed the wage book did not work in the mill. Usually the wage book entries are split by job or room, but not always (see graph below). A best guess has been made from earlier / later entries where there is no split. The split is inconsistent. For instance, Spinners & Twiners are split very early on but then not again until 28th August 1857. The workforce grows from 12 in the first week up to 40 in the last week. Cotton mills of this time typically had hundreds of workers, so this is most likely part of a multiple occupancy. 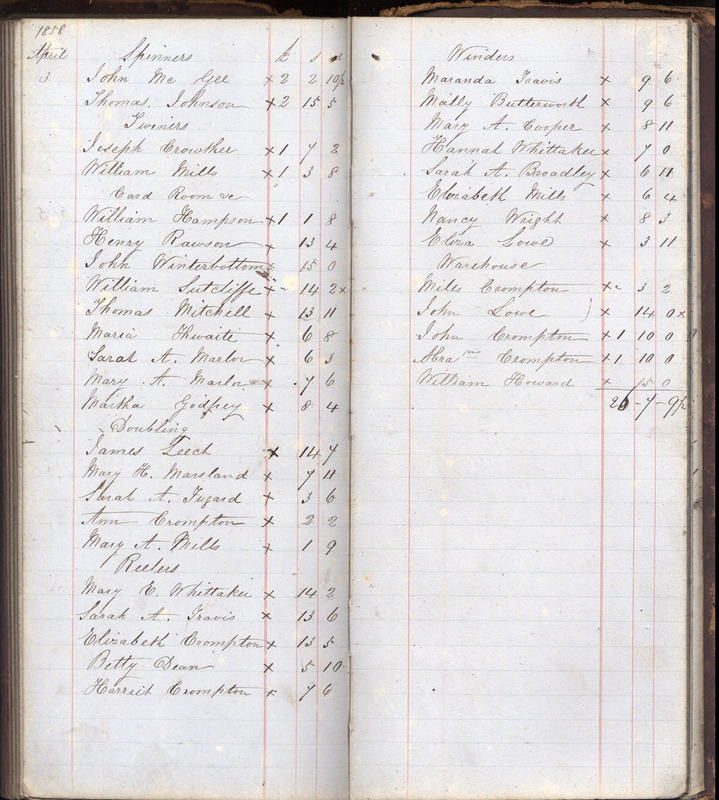 It appears that the wage book was started when the premises opened. The reelers room seems to have been closed for the early part of 1857. Then Steam Reelers and Doubling appear on 28th August 1857, suggesting the introduction of new machinery. Cromptons predominate throughout, from John Lees and Harriet in the first week to Ann, Elizabeth, Miles, John and Abraham in the last entry.They frequently disappear and reappear or pop in intermittently. It seems for instance that Nancy Crompton reappears as Nancy Wright after her marriage. They frequently head the list of names for a job or room. The names are roughly in sequence of earnings, often beginning with a Crompton. Thus they tended to be the best paid and were presumably acting as supervisors. Abraham Crompton appears extensively under “Warehouse etc”. In fact he never missed a week from when he started. He is listed in the 1861 census as “Cotton Spinner Empl 82m & F”, living in Waterloo St, Glodwick and employing a single servant. Waterloo Street is a short stroll from Bell Street. In his retirement, he lived on Queens Road and became a local magistrate. 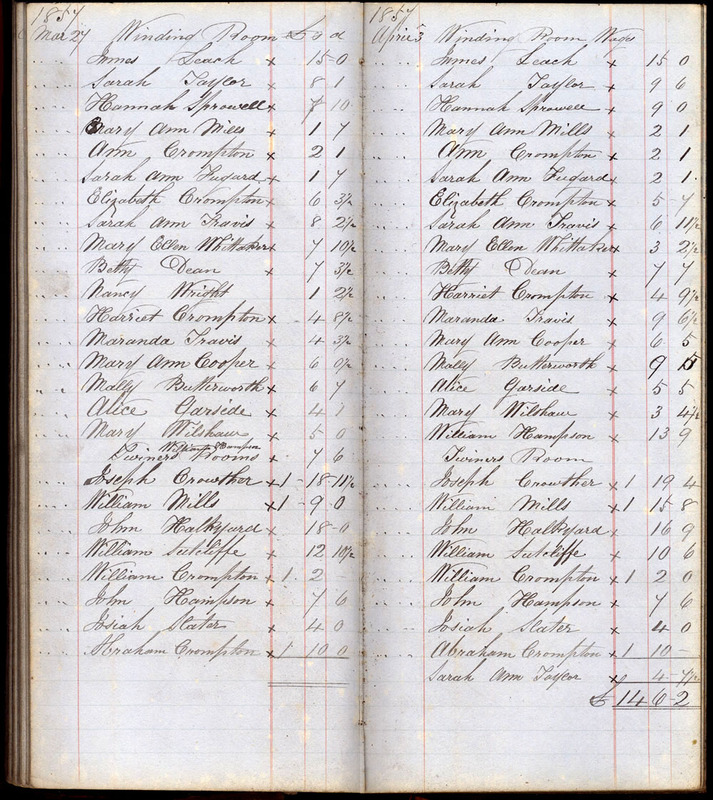 Incidentally, there was an Abraham Crompton, shopkeeper of Rhodes Bank, Oldham listed as one of the Chartist Land Company subscribers in Oldham. It is not known whether this is the same Abraham. Note: These appear to be a different leg of the family from A&A Crompton. or if you have any additional information about Paradise Mill, please email. Web-page maintained by Bob Hindley. Page updated on 6th May 2013.